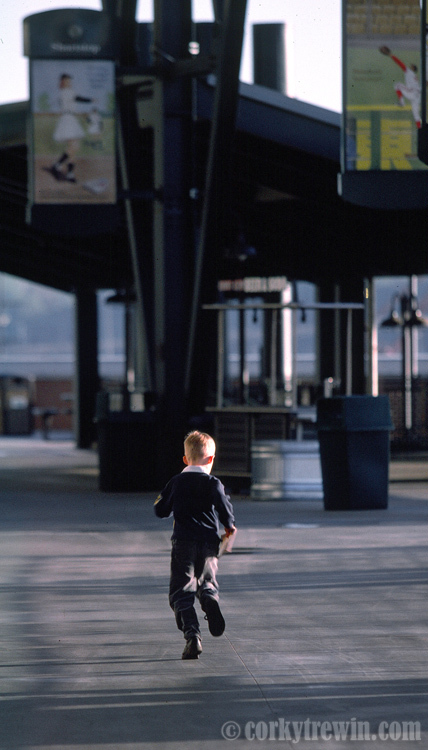 Prior to the July 15, 1999 opening of Safeco Field, Jeffrey and I were treated to a tour by the Mariners to make a series to photographs for the team. Here Jeffrey took off running on the upper level family area. This entry was posted in Trewin and tagged Jeffrey Trewin, Safeco Field.